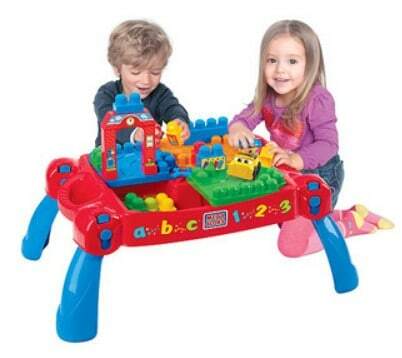 Save 50% off Mega Bloks First Builders Build 'n Learn Table, FREE Shipping Eligible! Save 50% off Mega Bloks First Builders Build ‘n Learn Table, FREE Shipping Eligible! Right now at Walmart.com you can get this Mega Bloks First Builders Build ‘n Learn Table for just $26.03! That is almost 50% off the regular price of $49.97! A great starter building set for your little one!